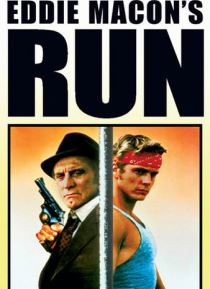 Unfairly imprisoned, Eddie Macon (John Schneider) stages a daring jailbreak and heads south with the intent of reuniting with his wife, Chris (Leah Ayres), and their son in Mexico. No-nonsense veteran cop Carl Marzack (Kirk Douglas) isn't about to let him get away, however, leading to an extended chase throughout Texas and Mexico. Aiding the desperate fugitive, who starts out on foot, is Jilly Buc… k (Lee Purcell), a wealthy girl looking for a bit of excitement.